11 things Sunday Times journalist Camilla Long didn't tell you about Thanet | Thanet Gazette. I was initially invited to visit the Green candidate for Thanet South at his Broadstairs home – an arrangement I jumped at, to check if it featured sacks of mung beans and a composting toilet. In the event, we meet in the Belgian Bar in Ramsgate, which boasts neither. It is a testament to Councillor Ian Driver’s capacity for forgiveness or the thickness of his hide that he wants to meet me at all. I have been less than complimentary on these pages in the past. But his smile is wide when I arrive, so I cut straight to the nub of my doubts. He tends to party hop, doesn’t he? United Thanet election candidates demand unitary authority for Thanet | Thanet Gazette. Government proposal to extend Discovery Park Enterprise Zone to Manston airport and Betteshanger | Thanet Gazette. Complex PTSD and PTSD – Do you know the differences? 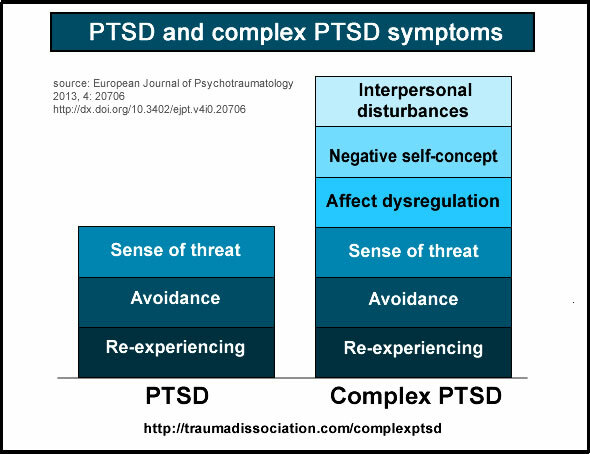 PTSD and Complex PTSD are both caused by trauma. PTSD can be caused either by a single traumatic event (e.g., earthquake, sexual assault, or serious auto accident) or by multiple traumatic events (e.g. several traumatic events during war). Complex PTSD can only be caused by multiple traumatic experiences which have a wider range of symptoms than those in the PTSD criteria. Typical causes involve the person being in a prolonged, and normally continuous, set of traumatic experiences over a considerable period of time. For example, child abuse lasting several years or prolonged captivity with severe mistreatment, e.g. in a concentration camp. This related interpersonal abuse causes problems in many future relationships. The symposium Contestations around FGM: Activism and the Academy, held on 7 March 2015 and organised by Dr Tobe Levin, was a first, in formally bringing together activists and academics to discuss many aspects of continuing efforts to eradicate female genital mutilation. My task was to contribute to a round table discussion on ‘the benefits, the hurdles and the effects on prevention of committed implementation of the law’. In my paper I examined the risk that an inadvertent turf war around FGM might now be emerging in the UK between the medics and the lawyers. The Guardian launched its Global Media Campaign to end FGM at the UN ONE Plaza Hotel on 12 March 2015. The idea is to support the new generation of activists using the media to amplify their message – stop FGM! – to their communities and the world. Here you see two of these determined activists, Domtila Chesang from Kenya and Jaha Dukureh, originally from the Gambia. Their presentations, with those of UN Women Under-Secretary General Mme Phumzile Mlambo-Ngcuka and others, are available here.